Even before Gabi got signed to RCA Records when she was only 14 years old, she always knew she was meant for something great. Unlike most celebrities who crave so much for fame and the paparazzi, Gabriella Wilson is quite the opposite; she hid her true identity from the public at the start of her career as she did not want the public to judge her for her looks, her age, what she wears or who she goes out with. Instead, she preferred people knowing her for her music. Gabi who goes by the stage name H.E.R. is a fast-rising star in the music industry and her efforts in recent years got capped with five Grammy Awards nominations, which allows her to rub shoulders with the elites in the industry when the award ceremony takes place on the 10th of February this year. H.E.R. (which is the abbreviation for Having Everything Revealed) is an American contemporary R&B singer whose real name is Gabriella “Gabi” Wilson. Gabi was born on June 27, 1997, in Vallejo, California, to a Filipina mother named Agnes and an African-American musician father named Kelly Wilson. She draws her inspiration as a singer from her father who used to be part of a local band and her idol Alicia Keys. Growing up, Gabi was straight forward about her passion for music and she got the support of her parents to pursue her dream of making an impact in the world through her voice as a singer. She started singing at a very young age and when she was 12 years old, she was hosted on Today Show, where she played the piano for Alicia Keys. Gabi is multitalented and can play several musical instruments like guitar, piano, bass, and a few others. She made an appearance with Alicia Keys at the Grammy Awards when she was 12. She also made appearances on shows such as The View, Pauvich Show, and Good Morning America. At the age of nine, she performed at the Apollo Theatre in New York. At 12, Gabi performed at the ASCAP Awards and was rated as one of three Radio Disney’s Next Big Things. During this period, various music labels had their eyes on the talented youngster. In 2011, Gabi took a big step forward with her music career when she signed her first major deal, signing with Sony Entertainment. She was 14 when she signed with the music label. In the same year, she released her first official single titled Something to Prove. After signing with Sony Entertainment and releasing her first official song, Gabi then took a hiatus from music, most likely so she could concentrate on graduating from high school. On her return to the music scene, she signed with RCA Records in 2016 and adopted H.E.R. as her stage name. 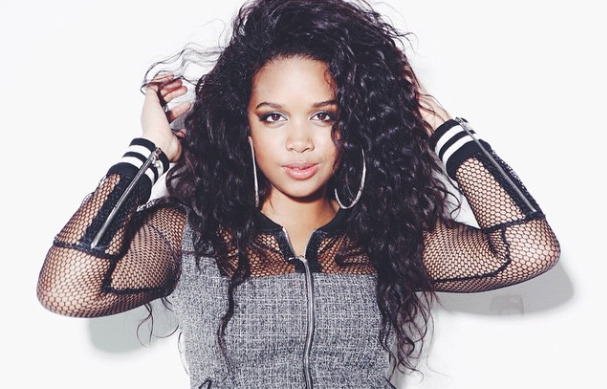 Signing with RCA Records made her label mate with her idol Alicia Keys. Gabriella Wilson has released five EPs with her label – RCA Records. Her first EP titled H.E.R. Volume 1 was released on September 9, 2016 while H.E.R Volume 2. was released on June 16, 2017. She then dropped H.E.R. Volume 2: The B Sides as her third EP on October 20, 2017. Still, on October 20, 2017, she released her album titled H.E.R. and it is her only album so far. Her fourth EP; I Used to Know Her: The Prelude was released on August 3, 2018. Still, in 2018 and on November 2nd, she released her fifth and latest EP titled I Used to Know Her: Part 2. When the nominations for the 61st Grammy Awards was released on December 7, 2018, Gabriella Wilson received 5 nominations from the ever prestigious awards. Her album H.E.R. is nominated for Album Of The Year and she will be competing against Cardi B‘s Invasion of Privacy and Drake’s Scorpion, amongst other nominees. She is also nominated for Best New Artist Award, which will make her lock horns with new sensations like DuaLipa, Bebe Rex, and other new artists. 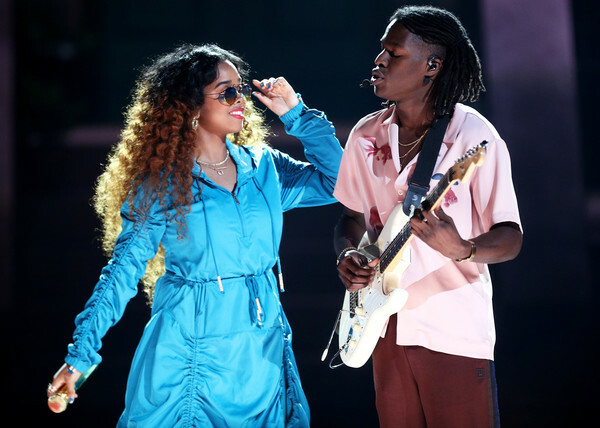 Her third nomination is for the award of Best R&B Performance for the song Best Part, which featured Daniel Caesar on the track. Her song Focus is nominated for Best R&B song. And her last nomination is for Best R&B Album for her album H.E.R. Asides the Grammy, Gabriella Wilson has also received a couple of other nominations and has won a couple. She won the awards for Album/Mixtape Of The Year for her album H.E.R. and also Best Collaboration Performance (with Daniel Caesar) for her song Best Part, at the 2018 Soul Train Music Awards.